Whenever I do commissioned artwork, I always wonder if my “interpretation” will be understood and appreciated. 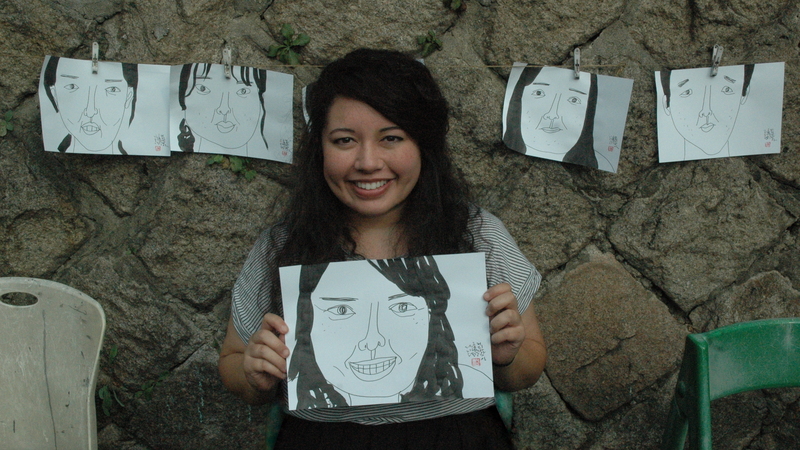 I was finally on the receiving end of that – I paid a man to draw me and it ended with tears [of laughter]. I have lived in Seoul for a month, but it definitely feels like I have been here much longer. 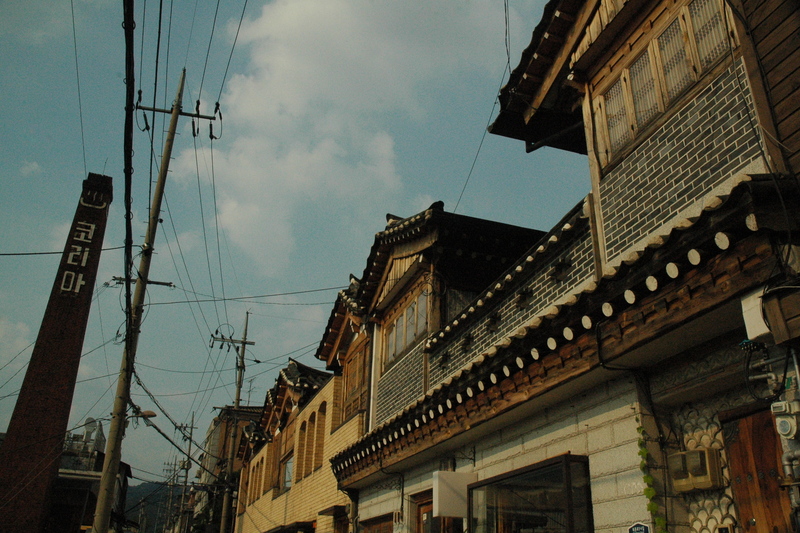 Within this month, I have traveled to two hanok (Korean traditional houses) villages – Bukchon (북촌) and Namsangol (남산골). 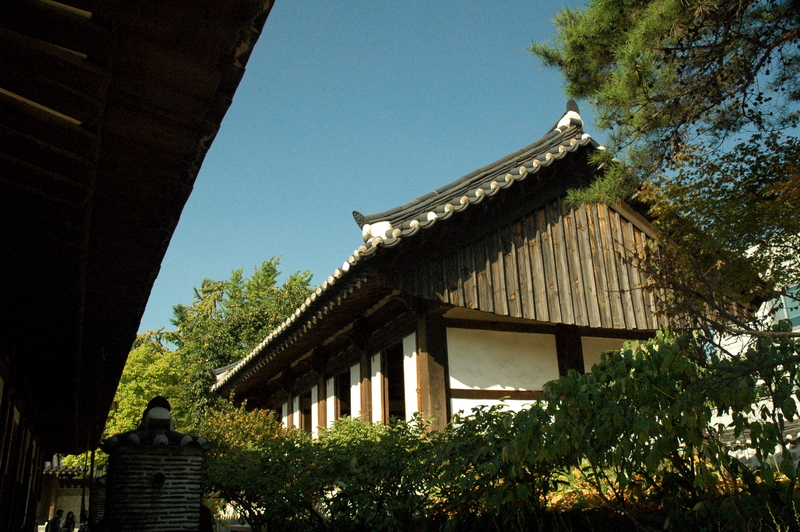 Bukchon Hanok Village is in between two palaces – Gyeongbokgung and Changdeokgung. 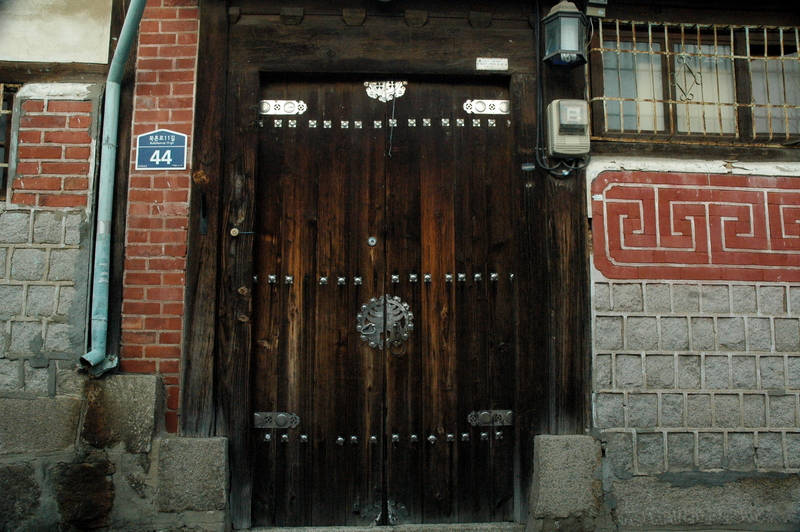 Bukchon, or “northern village,” dates back to the Joseon dynasty. I visited it four weeks ago with Brent and Monica. When I still lived in Hungary, I saw that they posted “one-minute portraits” done by an artist in the area. In order to get drawn, you have to order a drink at the restaurant he sits outside of and pay ₩1,000 ($0.84). All my attempts to make this man smile died in vain. His robot-like demeanor makes the experience all the better. He is a one-minute-portrait-making machine. If you are sensitive, I recommend not getting your picture done by him. I, on the other hand, am not – I am obsessed with him/my picture. I find him absolutely brilliant. Walking amongst traditional houses in a village surrounded by modern architecture was surreal. 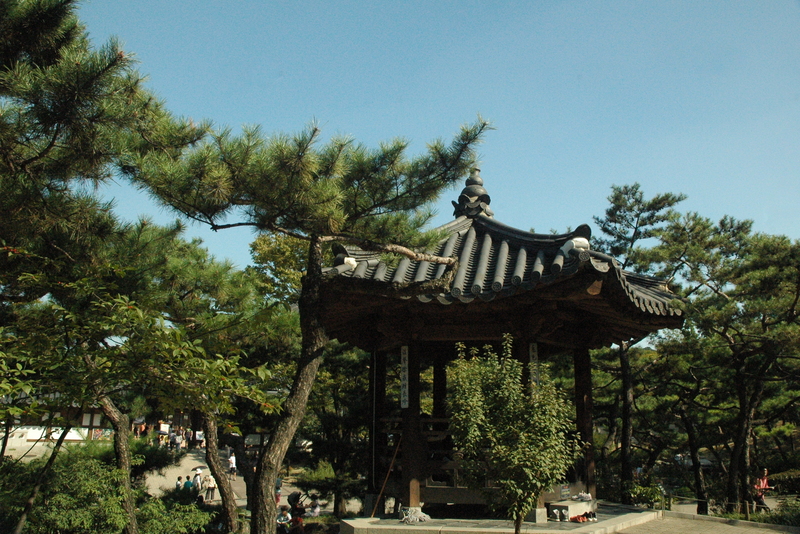 Looking off in the distance was Namsan tower. We had initially planned on hiking up to it, but opted out due to my knee. Apparently you can rent hanboks (Korean traditional dress) and take pictures in a photo booth there. All of my training in Busan could prove beneficial. 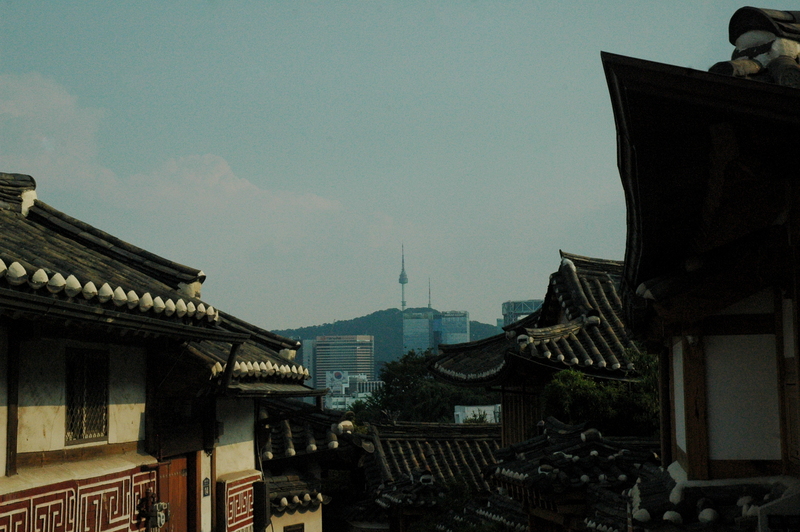 Namsan tower in the distance. 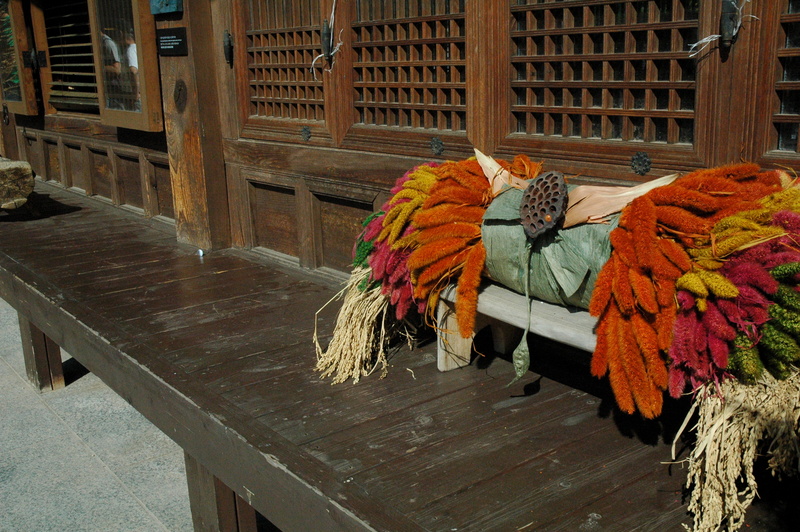 Today I visited Namsangol Hanok Village for Chuseok (추석), one of Korea’s biggest and most important holidays. Celebrated the day the full harvest moon appears, this holiday brings families together to give thanks and pay respects to their ancestors. 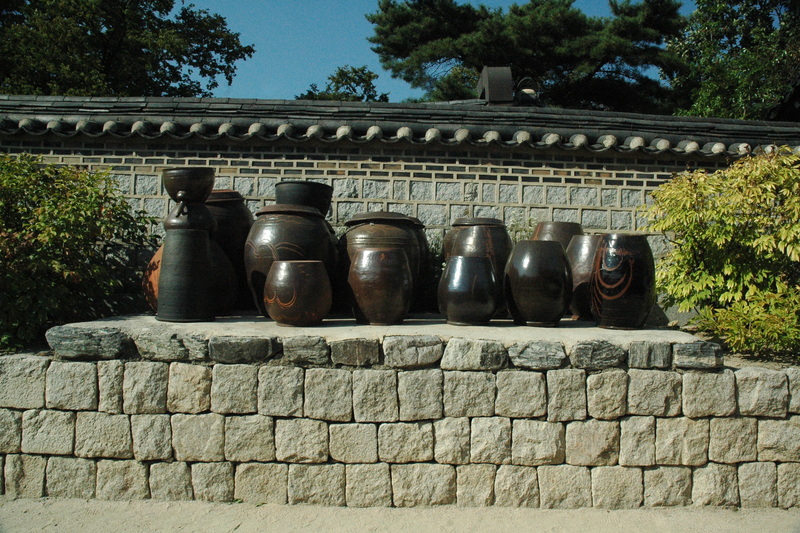 Rice cakes called songpyeon (송편) are made and consumed as well. My students made some on Friday to give to their families. I also received some… from the owner of the convenience store by my school. As you can probably guess, my coworkers and I frequent the store quite often. Even though we are probably his biggest customers, receiving rice cakes from him was an unexpected, sweet surprise. 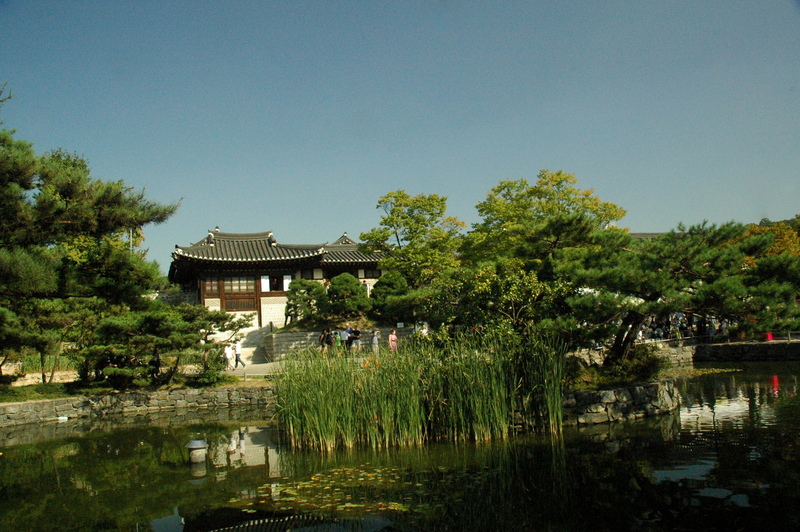 Namsangol is comprised of five relocated and restored hanok buildings of different styles: Carpenter Yi Seung-eop’s House in Samgak-dong (1865-1868), General Kim Choon-yeong’s House in Samcheong-dong (1890s), Min Family’s House in Gwanhun-dong (1870s), Yun Taek-yeong’s Jaesil in Jegi-dong (1907), and Yun Family’s House in Ogin-dong (1910s). Thank you, informational booklet. 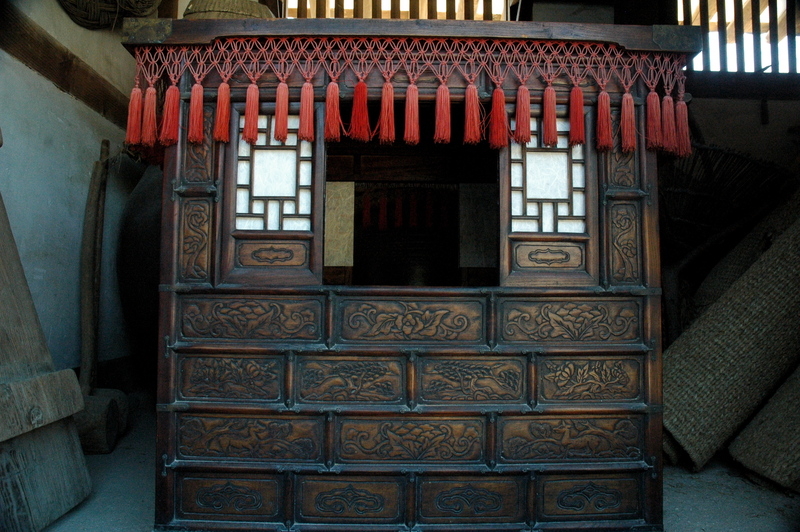 I am convinced I was the only solo traveler on the whole premises – families were everywhere. 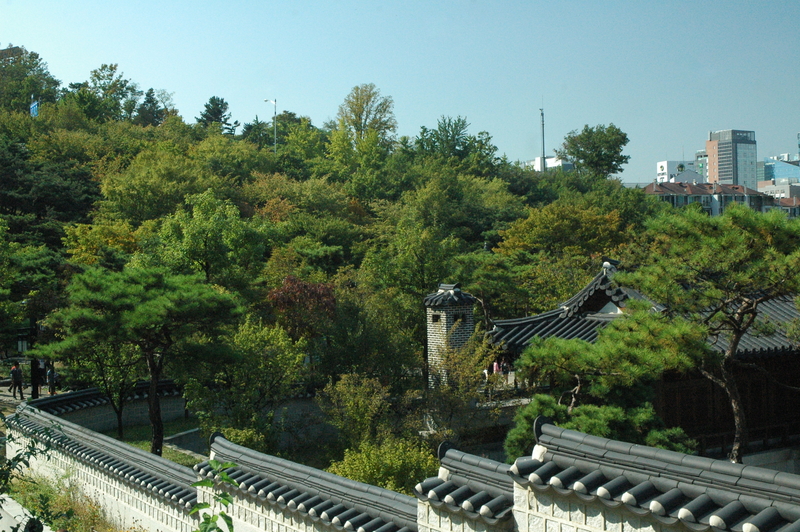 A lot of people were dressed in their hanboks, so the village was alive with color. A man also hit me in the back with a rolled-up newspaper. He was trying to save me from a pesky bug, but misjudged both the distance between the two of us and the length of the newspaper. The people around us gasped because it looked like he just flat-out attacked me, so we had to awkwardly gesture to the crowd that everything was okay. Knight in shining armor, I tell you what. In other news, I finally have my first smart phone! Hello, 2015. I bought an iPhone 6 on the day the 6s was released in the United States. In Hungary I had a Nokia brick phone, which was just as glorious as you can imagine it being. I got my first phone at 16 in 2004 (also an indestructible Nokia). I moved up to flip phone in 2007/2008 and had it until 2011 (trust me, I am a monster on T9). I then bought a friend’s used keyboard phone. My first iPod touch was in 2012, but again, I bought a used one from a friend. When it was stolen in Slovakia, my older sister sent me her old iPhone 4s. I have been rocking that until, well, now. Ten cheers to the future money I will be making that will pay for the phone and plan (seriously, payday will be one of the best days of my life). Happy Chuseok, everyone! Hopefully you have food in your homes (opting out of grocery shopping yesterday was not the smartest decision I have ever made).